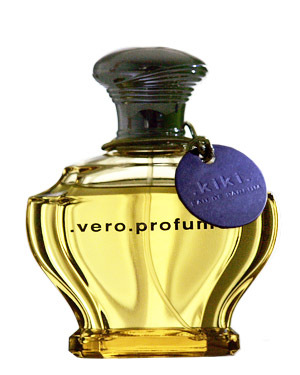 This entry was posted in Citrus Aromatic Fragrances, Fragrances, Reviews En Bref, Vero Profumo and tagged Kiki EDP, Kiki Perfume, perfume review, Vero Profumo, Vero Profumo Kiki by Kafkaesque. Bookmark the permalink. Dear Kafka, finally, a break from the Uncle Serge series which I enjoyed tremendously! “Meh” fits, though “boring” definitely does too. Yet, there is such enormous gushing over this fragrance, as there is for the whole line. I simply don’t get it, even *apart* from my lavender issues. Kiki is seriously over-hyped, imo, especially in light of the cost. I’ve got to test Kiki only once (at a store in Paris) and I liked it though I thought it didn’t last long enough on my skin. They were very stingy with samples at Jovoy – even though I was buying a bottle of perfume – so I had to choose what to ask for and I went with Mito. I still plan to get Kiki and test it more but I’m not sure if any lavender-centered perfume, no matter how great it smells, would be worth that price for me. Bah, being stingy with samples when you’re buying a bottle…. not cool at all. Just out of curiosity, how long did Kiki last on you? I was surprised it wasn’t longer on me, even with my perfume-consuming skin, given the lengths I got out of Rubj and Onda. Provided it was a relatively warm day and a lot of walking, it was almost completely gone in, I think, 3 hours. Ouch! That’s very low, especially as you rarely have skin issues with fragrances. Yep! But, of course, those three that were absolutely awful on me – Rubj EdP and both Onda concentrations – just didn’t want to let it go 😉 Luckily, I was testing those at home. Vero Kerns’s fragrances are at the very top of my to try list and sadly I haven’t. I think of lavender primarily as a home scent. As a personal fragrance, me and lavender don’t get along. I try to avoid any product with the oil because it tends to make my sensitive skin crack and flake (so hot, I know). Not sure if Kiki would be for me, but I still want to try them all. Oh darling! You are too kind! No worries if you don’t. I should really get off my tushie and make a proper sample order! Thank you though! I’m so very sorry you don’t like Kiki at all. When I reviewed it couple of months ago I didn’t find it groundbreaking and lavender of this one on me was more floral rather than extremely dry and herbal that you smell. And that dry, herbal, almost medicinal is my favorite smell of lavender. It’s not that I adored it, it definitely isn’t my perfect lavender. I have a bunch of lavender plants in my yard and I love them. 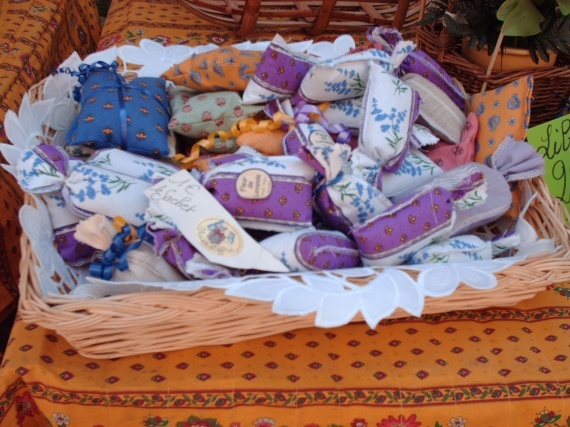 Of course, I was not smothered by lavender at every turn when I was a child so that may have something to do with it. I would bet that if there was a scent that I could not escape from it would traumatize me as well. Maybe someday you and lavender will be friends again. I used to hate tea. Everything about it. Now I’m a tea fanatic. My mom used to make tea for me when I was sick. Throwing up sick. So every time I smelled the stuff that’s all I thought of. It took years but I finally got past that association. Now I love it to drink and to smell. That being said, Kiki has only tempted me slightly. I have wanted to try it but I try to avoid trying the expensive scents because if I love them then my wallet takes a beating. I already have enough pricy things on my wish list. This is my favorite of the line, but … not at all compelled to buy it. I’m sure VP will eventually make a “me” perfume, but not yet. By “duller,” do you mean that it is more nebulous and less distinct after a while? I.E., what I experienced? You know, I would gladly try and test the extraits, as everyone says they are much better. All the greatest raves seem to come from people talking about the Extrait versions, and I’m sure Rubj would work better on my skin without the passion fruit. Perhaps one day I’ll get around to ordering them, but the cost puts me off, to be honest. And Kiki… well, I’m not sure I want even more potent lavender. As for my childhood, I hope one day you can get to go to Grasse, Vallauris and Cannes — and then maybe you’ll understand better my reaction. 🙂 It’s just too, too much. 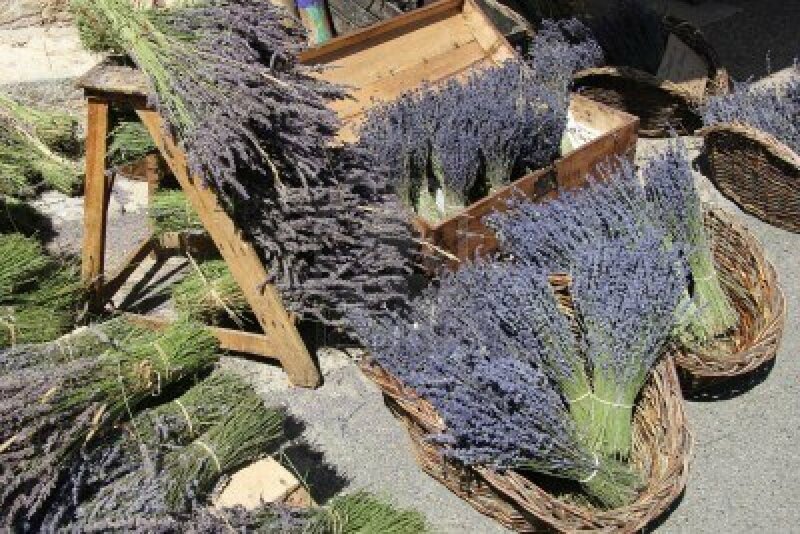 I couldn’t step out my front door without being assaulted by lavender from the driveway, and that aroma just continued everywhere with those powerful dried sachets on sale in every nook and cranny. Still, I’ll take lavender over ISO E Super *any* day! 😛 BTW, LOL at the dandelions. Your hubby is a sweetheart! Tell him that from me. I know the smell of lavender all too well, because some time ago I used a body cream that had a very cloying, sweet lavender smell that would linger for hours after being applied. Needless to say I stopped using that cream not because of the smell, but because it gave me a severe allergic reaction, however I don´t know if the reaction was to lavender or to another component since it did have other ingredients in it, maybe some of them were harmful, or it might had been the lavender. It was interesting to read that lavender reminds you of Cannes Kafka, since I have been to Paris many times, and to other parts of France (Honfleur, Bordeaux, Rocamadour, Lyon, mont Saint Michel, Rouen etc.) and I have never smelled lavender, not that I can remember anyway. 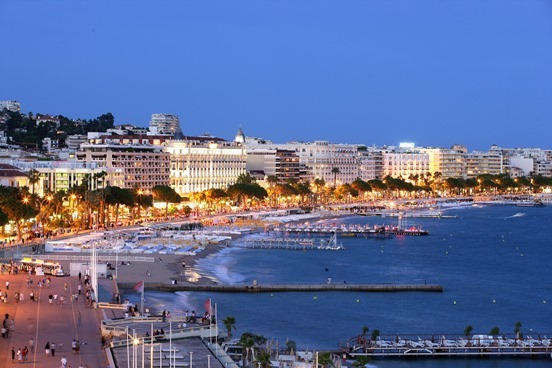 But then again I have never been to Cannes 😛 it´s so amazing that you lived there 🙂 you must have known many famous people. From France, I remember Honfleur in particular as smelly (but it was worth the stench, it gave it charm) given my experience with lavender I don´t think I would love this, simply because that allergic reaction left me a bit bitter. I’m really lemming the entire Vero Profumo line these days! I should bite the bullet and buy some samples. I almost did a blind buy of a bottle of Onda (for a great price), but someone outbid me at the last second!